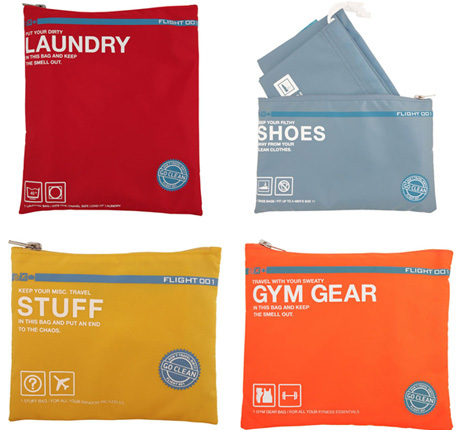 There are many popular systems of modular bags to sub-organize your stuff for travel, but most of them (though they may come in various sizes) are a one-type-fits all solution for your clean clothes, dirty laundry and other goods alike. 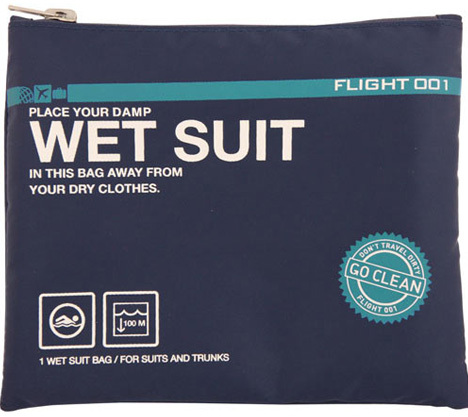 This cleverly-designed alternative has bags that are suited to different purposes, ranging from breathable to waterproof depending on your needs. A simple and bold system of colors, titles and icons helps easily distinguish the different bags in quick-grab and low-light situations. 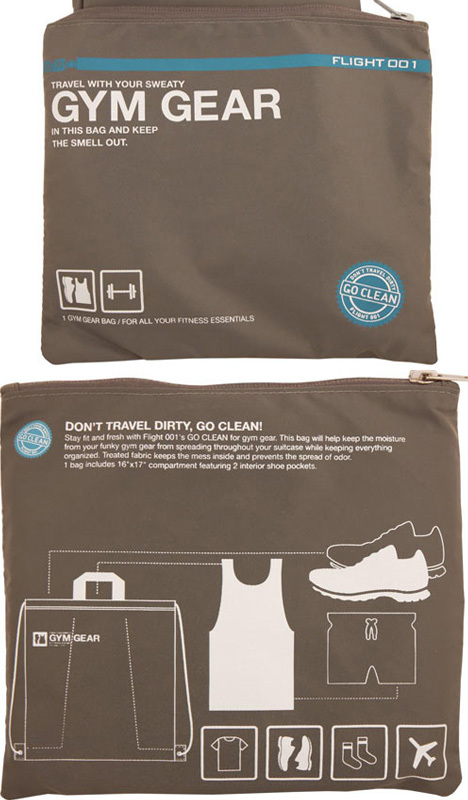 These so-called Go Clean Pack Bags may take up more space, but they sure could save a lot of time, too.